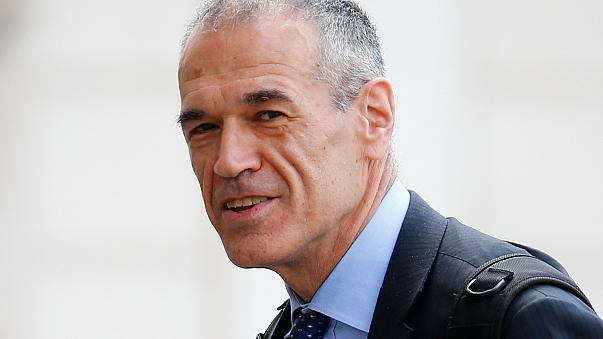 Sergio Mattarella, Italy’s president, has named Carlo Cottarelli, a former senior IMF official, as caretaker prime minister after frustrating a bid by two populist parties to run the eurozone’s third-largest economy, reports the Financial Times. Mattarella asked Cottarelli to assemble a technocratic cabinet as Italian bonds and equities were hit by a sell-off in reaction to the rising political uncertainty, a confrontation between the populists and the old political order. Mattarella had blocked the anti-establishment Five Star Movement and the far-right League proposal to nominate Paolo Savona, a Eurosceptic economist, to be finance minister. Mattarella took the decision to block Savona because he believed the appointment would jeopardize Italy’s ties to the EU, triggering further sell-offs of Italian assets in global markets. The Italian left is pleased with the move toward the establishment, “The president of the Republic defended the country, the constitution and national interest,” said Maurizio Martina, the acting leader of the centre-left Democratic party. “The League and Five Star have irresponsibly taken Italy to the brink of an unprecedented crisis,” he wrote in a tweet. But, in the United States, Paul Krugman in a series of tweets has voiced outrage at the rejection of the populists' demands. Krugman is correct here. This will further outrage the Italian populists and more turmoil is sure to come. But do the populists have any desire to run a free market economy? I doubt it. It is, sadly, about replacing one set of power freaks with another. "European institutions already suffering lack of legitimacy due to democratic deficit"
Isn't Krugman the same guy who believes that the Trump Presidency lacks legitimacy due to democratic deficit? Krugman sure appears to be an expert on identifying democratic deficits. Krugman's observation of how the Democracy Scam is used to confer legitimacy on shady institutions is astute. That so many are apparently willing to excuse bad policy merely because it’s popular yet again demonstrates the danger of democracy.